Flirtey successfully completed the first fully autonomous, FAA-approved urban drone delivery in the United States. In an uninhabited residential setting in Hawthorne, Nevada, the company successfully delivered a package that included bottled water, emergency food and a first aid kit by drone. Research and development (R&D) is a major focus of the six FAA-designated Unmanned Aircraft Systems Test Sites, and the Flirtey operation adds significant knowledge to this effort – specifically R&D for search and rescue and crisis response in disaster-prone areas. The delivery exhibited the industry-leading advancements Flirtey has made in its drone technology and autonomous systems. The six-rotor drone flew itself along a pre-determined delivery route and lowered the package at a precise drop-off location. A Flirtey pilot and several visual observers were on standby during the delivery as a backup to the autonomous system, but were never needed. Flirtey’s accomplishment was completed through a partnership with the Nevada Advanced Autonomous Systems Innovation Center at the University of Nevada, Reno. The company has been working with engineers from the university-based center to perfect and evolve its drone delivery technology. The two partners are also working with NASA to develop a low-altitude air traffic management system. Additionally, Flirtey partnered with Nevada Institute for Autonomous Systems (NIAS), the FAA-designated Nevada UAS Test Site and a NASA partner for the State of Nevada. 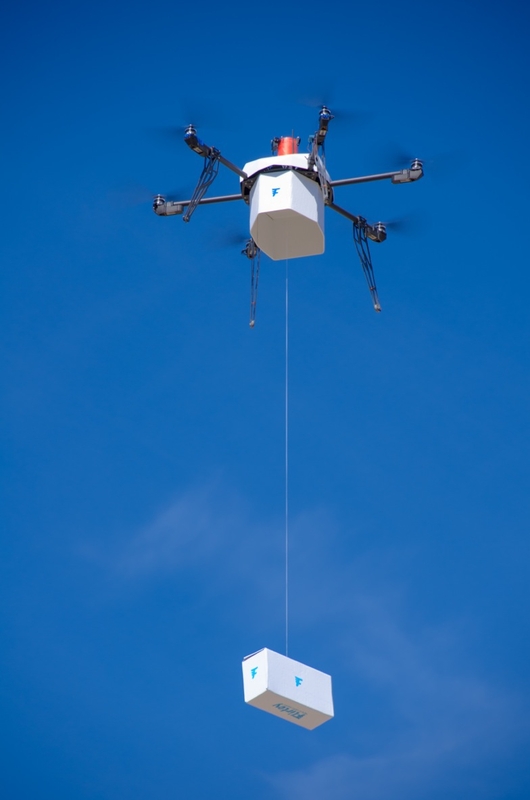 The Hawthorne, Nevada urban delivery demonstrated that advanced drone systems allow aerial vehicles to safely navigate around buildings and deliver packages with precision within a populated area.